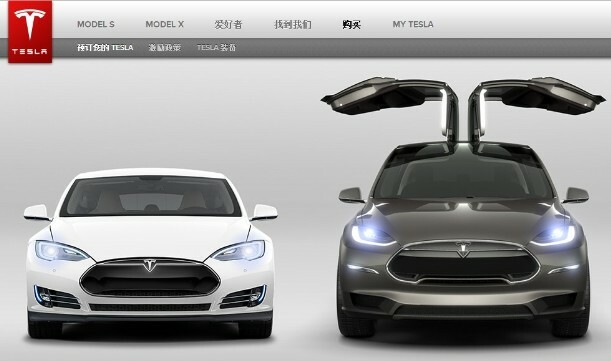 Tesla Motors has launched its Chinese website, Tuosule.cn, that is taking pre-orders for Model S and Model X. The site doesn’t show the prices but asks RMB 250,000 ($41.200 ) reservation payment for either model. The webpage for incentives reads that the company is studying what can be possible to offer local users. It is reported that the domain name Tesla.cn was registered by a Guangzhou, China-based company in 2006 (report in Chinese). It’s unknown whether Tesla would be given a Chinese name that sounds Tuosule. Earlier this year Tesla opened a shop in Beijing, China.